KARACHI: Pakistani youth are gifted with enormous capabilities and their potential needs to be unleashed for the country’s uplift. This was stated by Higher Education Commission (HEC) Chairman Prof Dr Tariq Banuri during a meeting with United States Agency for International Development (USAID) Mission Director Jerry Bisson who visited the Commission Secretariat on Wednesday. Talking to the mission director, Dr Tariq Banuri said the HEC and USAID have a long legacy of collaboration. He shared his vision for the uplift of Pakistan’s higher education sector. He stressed the need for holistic personality grooming of students. He maintained that highly effective training sessions are required to improve the leadership qualities bestowed upon Pakistani youth. He also underlined the importance of corporate training at school as well as well university level. 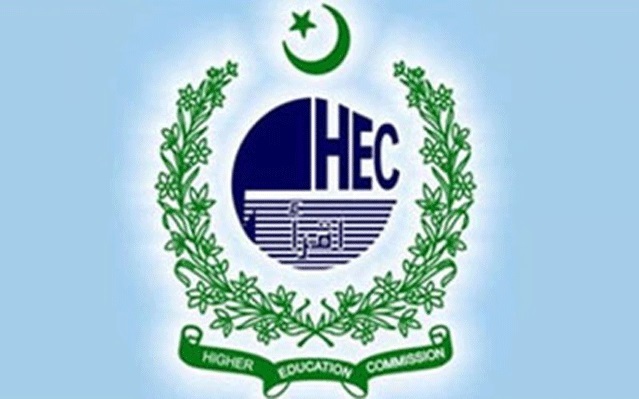 He said that HEC plans to set up National Academy of Higher Education (NAHE) to conduct trainings for the newly inducted and in-service faculty, administrative staff of universities as well as potential academic leadership. “We need to direct the higher education sector of this country towards excellence,” he stated. Referring to the significance of the increase in government funding for the higher education sector, he said the higher education sector witnesses 10 per cent increase in enrolment annually. The government funding must be in proportion to the increase in enrolment, as high enrolment necessitates development of infrastructure, he emphasised. The chairman shed light on the role of Centres of Advanced Studies at National University of Sciences and Technology (NUST), University of Engineering and Technology (UET), Peshawar and Mehran University of Engineering and Technology (MUET), Jamshoro. Jerry Bisson appreciated the HEC for its efforts to promote higher education and a research culture in Pakistan. During the course of meeting, the US-Pakistan Knowledge Corridor was also discussed. The initiative aims to provide opportunities for 10,000 Pakistani students for doctoral studies in US universities as Government of Pakistan envisions enhancing enrolment in tertiary education up to 7.1 million by 2025. This will facilitate the enhancement of PhD faculty of HEI’s from the current 27% to 40% in the year 2025. In the initial phase, HEC is focusing on sending 1,500 PhD scholars to the leading US universities, within the funds approved by Executive Committee of National Economic Council (ECNEC). Besides, the USAID-funded Merit and Needs-based Scholarship and USAID Fulbright Scholarship were also brought under consideration.